The Johanna Smith (257 ft x 50 ft) was a wooden hulled lumber schooner build in North Bend Oregon in 1917. 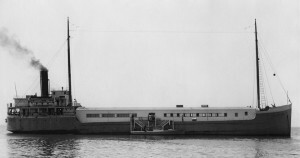 Built during the first world war, shortages prohibited the installation of engines in the Johanna Smith. Sold to the Coos Bay Lumber company in 1918, she was used as a barge until 1921, when she became one of only two Pacific Coast steam schooners to be powered by steam turbines. The Johanna Smith carried lumber up and down the coast until 1928, when she was sold to Albert Howard and converted to “a palatial gambling ship” and moored off Long Beach. 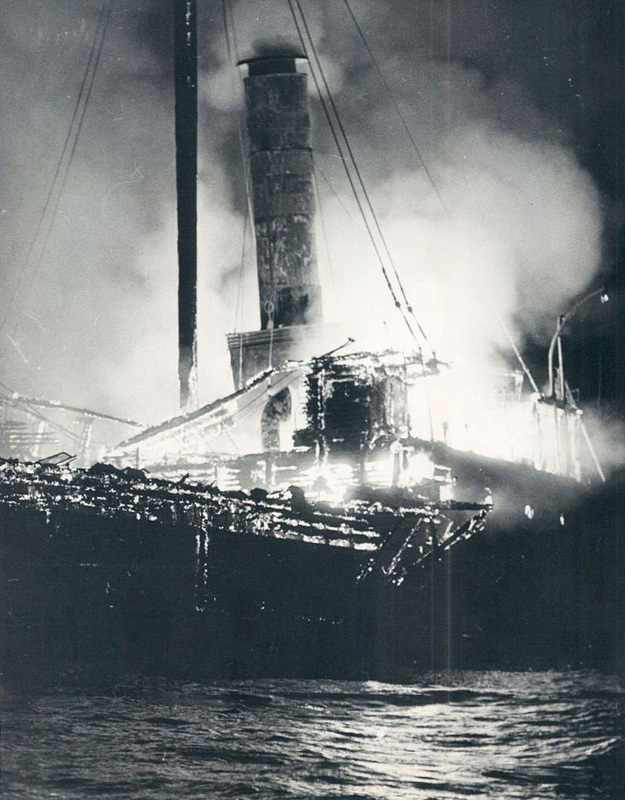 After several entanglements with the law, she burned on July 22, 1932. 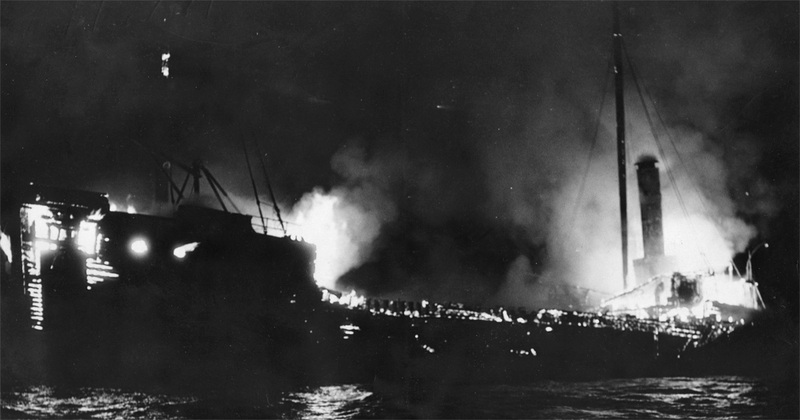 The fire consumed her hull down to the waterline, however, instead of sinking, she rolled over and remained afloat, still anchored. The cause of the fire was never determined. 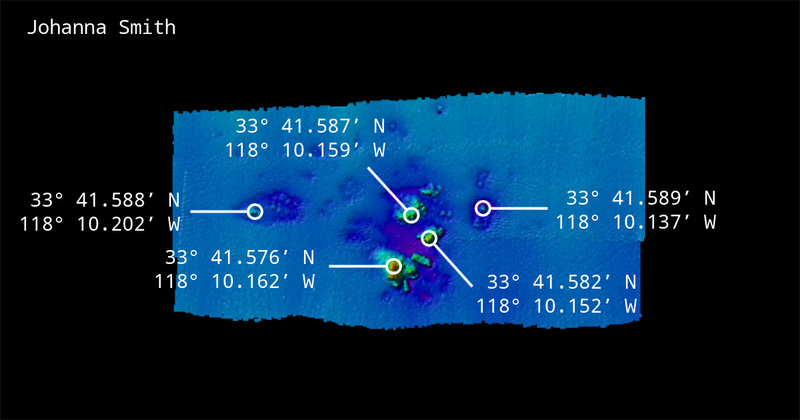 The preceding text is courtesy of Steve Lawson and the California Wreck Divers. 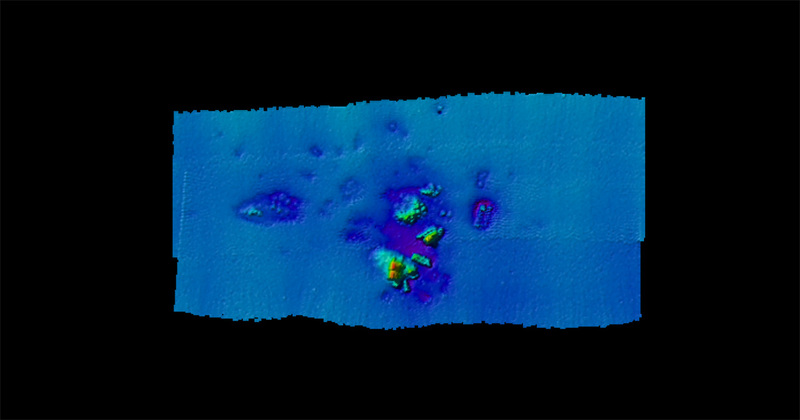 The debris field of the Johanna Smith was surveyed with multibeam sonar by the R/V Zephyr in 2000. Survey ID H10998.